Following a few days of sideways trading crypto markets have bounced again today as $7 billion gets funneled back into digital currencies. Not all are benefiting from this rally though but the ones that are include Litecoin and Neo which are the only two adding double digit gains in the top forty at the time of writing. Litecoin has had it worse than most in 2018, falling from the giddy heights of over $350 to a yearly low of around $23 in mid-December according to Coinmarketcap. This equates to a loss of around 93%, equaling its loss of a similar percentage back in 2014. Things have slowly started to turn around for LTC as it has recovered 65% since the 2018 low point and has currently made 14% on the day. Over the past 24 hours Litecoin has climbed from $35 to reach an intraday high of $40 before pulling back a little. This marks an almost 2 month high for LTC which has just surpassed Stellar and taken back sixth spot. At the time of writing Litecoin has a market capitalization of $2.3 billion which is a nudge above XLM on almost the same. Often called the ‘silver’ to Bitcoin’s ‘gold’, Litecoin has not seen much on the news front recently. A recent lightning network milestone was reached when 100 active nodes was exceeded which shows that the ecosystem is steadily growing despite the negative price action. The only other altcoin in the top twenty posting double digit gains on the day is Neo. Over 15% was added when Neo, often referred to as the ‘Chinese Ethereum’, jumped from $7.68 to an intraday high of $8.88 before pulling back slightly. Neo has also been battered in the bear market slumping from an all-time high of almost $170 to a mid-December low of $5.6, a whopping 97% dump. Since then though, Neo has managed to claw back 57% to its current level at just below $9. The team is very active with constant updates on latest developments, developer conferences, and new dApps joining the network. A solid recovery is virtually guaranteed and it seems to have already started as Ethereum Classic has just been flipped as Neo takes seventeenth spot from ETC with a market capitalization of $570 million. The two are very close though and are currently trading places. 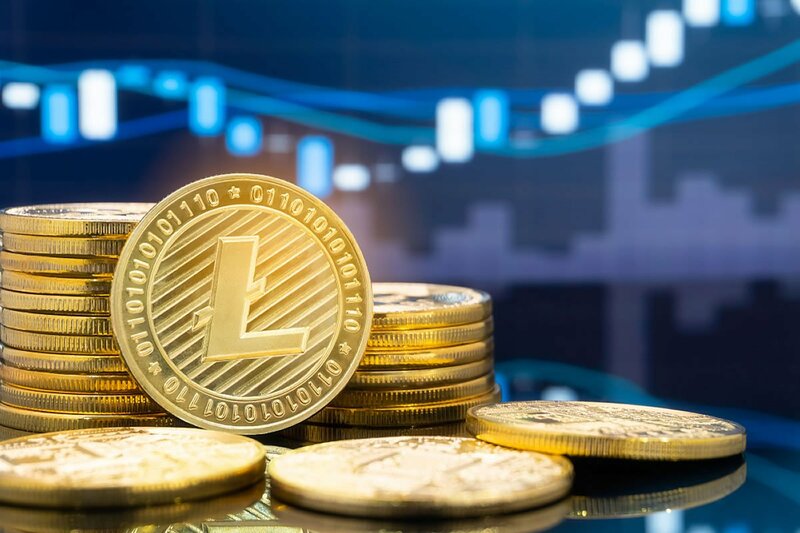 At the time of writing Litecoin and Neo have both flipped the coins above them and are the only two in the top forty making double figure gains on the day.